Exclusive to PETER HAHN! 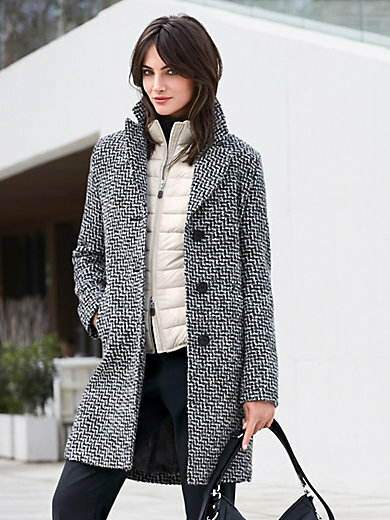 Short coat by Fuchs & Schmitt – fashionable city chic in premium, slightly fleecy weave with timeless woven design. For every style, all the year round: thanks to the comfortable, slightly drop-shouldered design. With revers collar, button fastening and diagonally cut side pockets. 44% acrylics, 32% polyester, 22% wool, 2% other fibre. Lining 100% acetate. Length approx. 35ins. The coat should be dry cleaned.